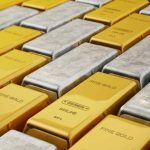 Gold & Metals Push Higher, Possible Trade War With China? FED In Conflict With Themselves! 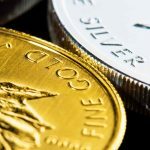 Home » Golden Rule Radio » Gold & Metals Push Higher, Possible Trade War With China? FED In Conflict With Themselves! The FED are in conflict with themselves as the doves & the hawks battle one another. The US Dollar Index continues to fall now down 10% this year. Gold has pushed past the key resistance point of 1335 and marches higher. What are the next key marks for it to achieve? Silver & platinum offering a major value opportunity. The North Korean threat continues to put wind in the sails of the precious metals, hopefully a non violent resolution can be achieved as the situation seems to deteriorate. Thank you for listening to this week’s golden rule radio, please hit the thumbs up button if you enjoyed and subscribe for more!